Patch-based approaches in imaging require heavy computations on many small sub-blocks of images but are easily parallelizable since usually different sub-blocks can be treated independently. 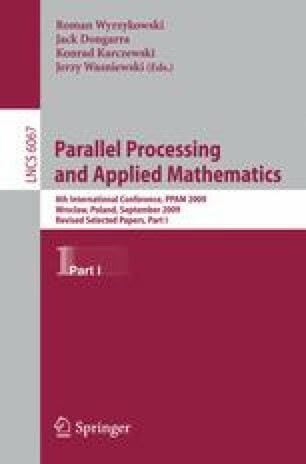 In order to make these approaches useful in practical applications efficient algorithms and implementations are required. Newer architectures like the Cell Broadband Engine Architecture (CBEA) make it even possible to come close to real-time performance for moderate image sizes. In this article we present performance results for image denoising on the CBEA. The image denoising is done by finding sparse representations of signals from a given overcomplete dictionary and assuming that noise cannot be represented sparsely. We compare our results with a standard multicore implementation and show the gain of the CBEA.